A deposit of 10% is required to secure booking. The remaining balance is due, in full, 6 weeks prior to holiday start date. Payments may be paid in instalments if required. A £75.00 damage deposit is required and is fully refundable after the caravan has been cleaned and checked on departure and there are no problems. Our holiday home is situated on a quiet pitch which has parking next to the caravan. The caravan has a large grassed area outside with just a few minutes walk to a children's park and a 5 minute walk to the Showbar, restaurant, swimming pools, mini golf and children's play areas. There is a full wrap around decking with secure gated access to our caravan and 2 sets of table and chairs. There is also a picnic bench situated on the patio. Our caravan is graded Platinum. It has 3 bedrooms and can sleep up to 7 people maximum. There is an en-suite to double bedroom with basin and toilet and a main bathroom with a spacious shower, basin and toilet. 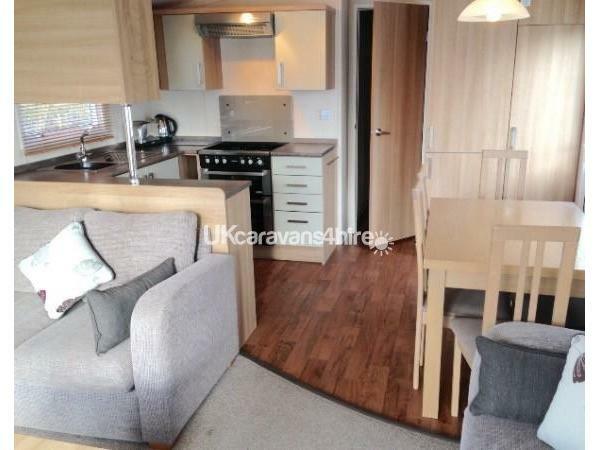 The caravan is fully double glazed and has central heating throughout. The lounge area has fitted sofas and a large television. There is a dining table with 6 chairs. The kitchen is fitted with plenty of cupboards and fully equipped with a large fridge/freezer, cooker, microwave, toaster, kettle, saucepans etc. New duvets, pillows, mattress and pillow protectors are provided but you will need to take your own duvet covers, sheets and pillowcases. These can be hired from reception for a small charge. You will also need to take your own towels and tea towels. We also provide a travel cot, high chair and bed guard upon request, at no extra charge. from Hopton holiday reception on arrival. There is a 9 hole golf course which is for all levels of ability. Golf clubs can be hired if required. 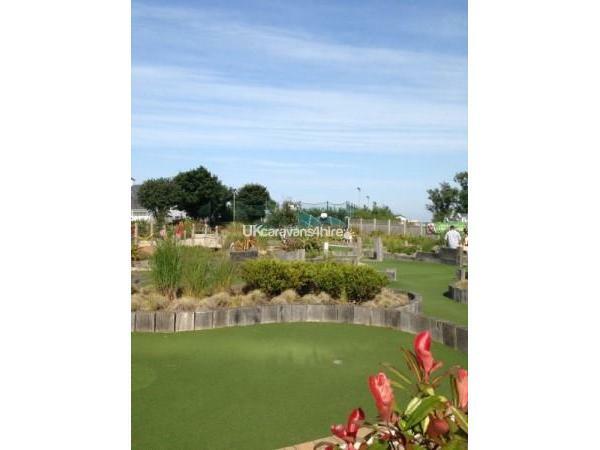 There is crazy golf, small children's play area, tennis, archery, go-karts, football courts, swimming activities including water jets. The Showbar has entertainment during the day and early evening for children and plenty of entertainment for adults later on in the evening including live shows, discos and bingo. 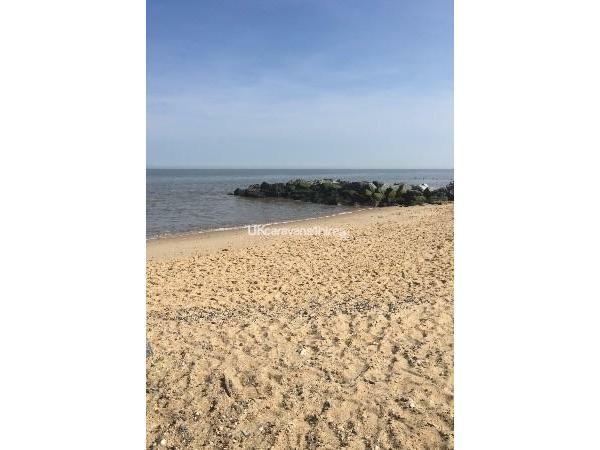 Hopton Holiday Village has its own golden sandy beach which stretches to Gorleston. The beach is only a 5/10 minute walk from our caravan. Pleasurewood Hills is just a 10 minute drive away and also a 24 hour Tesco. Further on is Africa Alive, full of animals and activities. The Norfolk Broads is also a great day out if you fancy going on a lovely boat trip. Great Yarmouth shopping centre is only a 10/15 minute drive away and further down there is a Pier, donkey rides, horse & cart rides, Pleasure Beach, amusements, plenty of bars and restaurants and a long sandy beach. Call me to book your holiday break at Hopton and stay at our luxury holiday home. We’ve just returned from a wonderful stay in Hopton! 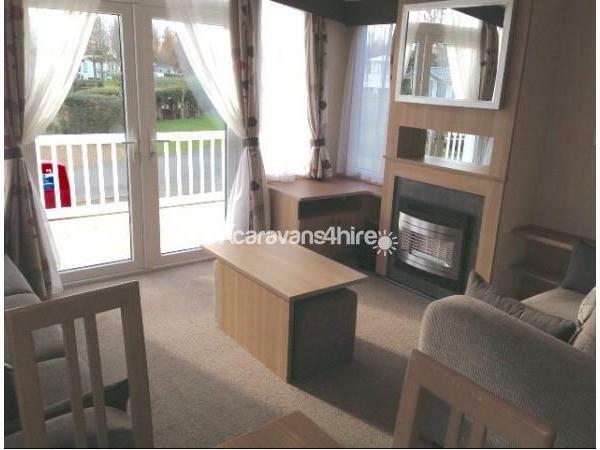 The caravan was faultless, and suited our needs perfectly. I don’t think we’ll ever be able to happily stay in any other caravan again....the location, the facilities, the cleanliness would be very hard to beat. The owner was a pleasure to deal with and we hope to visit again soon. Thank you again! Thank you Lynn. I'm so pleased you enjoyed your stay and look forward to you returning. Had a lovely break, with our 2 year old, a very modern clean and equipped caravan. It had everything we needed and the decking around the caravan was good too. The location on the site is nice and quiet as well and plenty of room for parking etc. Would go back again for sure!